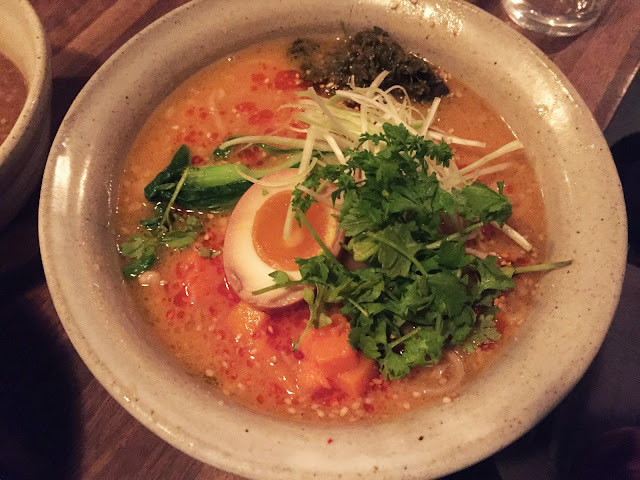 Pumpkin Tantanmen is a pretty neat creation from Ramen Shop. Tantanmen is a Japanese version of the Chinese Sichuan's Dandanmian. Tantanmen is usually consisted of stir fried ground pork with sesame paste, chili oil, Tobanjan(Chinese hot bean paste), and chicken stock. Signature toppings are Bok Choy, green onions, ground pork, and sesame seeds. The pumpkin version of Tantanmen tonight at Ramen Shop has a nice taste with the addition of pumpkin. Since an original broth was alreadt very heavy, pumpkin blends in very well. (Just like Pumpkin Curry) Cilantro, white parts of green onions, and a little bit of Chinese Pickled Vegetables really complete the dish. Tsukemen appears to be new thing at Ramen Shop, so I decided to try out their version of Tsukemen as well. I personally am a little disappointed with the Tsukemen. 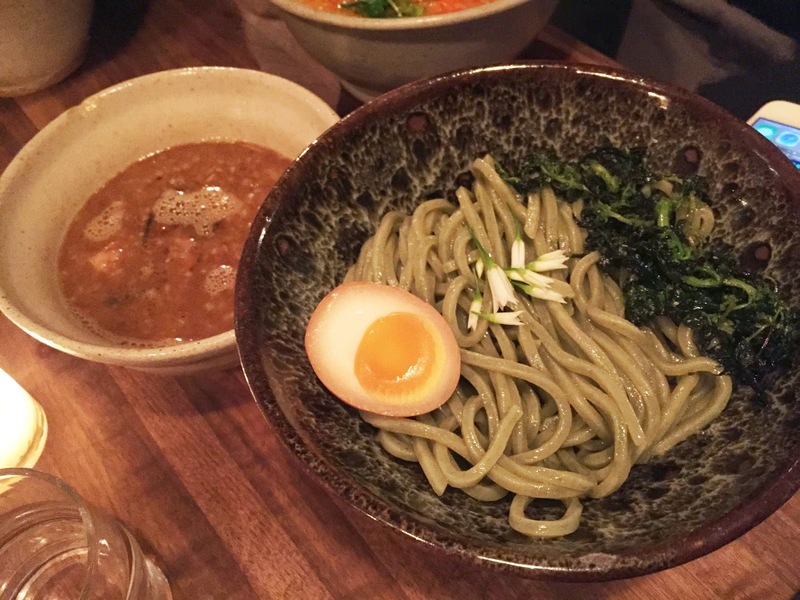 The noodle is too thick and because it is al dente and already in room temperature, it is harder to absorb the broth, leaving part of the noodle tasteless. A meal I have to try for the first time. Pumpkin Tantanmen sounds interesting !